I actually groaned out loud when I saw this. Dammit. It doesn’t worry me much. He may be the only one who can duke it out with Bernie Sanders and if they beat each other up, it will clear the way for a better nominee. In Wisconsin, back in 1992, there were two big name Democrats vying for the chance to take on a 2-term incumbent Republican Senator during a Democratic wave year. They bloodied each other so much that a little-known state Senator from Middleton named Russ Feingold beat both of them for the nomination – and went on to win the seat. So name recognition and big bucks don’t guarantee anything except a target on your back. I won’t be a #NeverBernie because a stupid old man unfit for the presidency who would likely appoint Democrats to his cabinet is better than a stupid old man unfit for the presidency who will destroy the planet. I don’t think it will come to that, personally. We are 13 months away from picking a nominee and a lot can happen. My picks right now are Harris, Warren, and Castro (I think Cory Booker is wrong for the times). I am getting ready to send money to Harris. Kumbaya Cory is perfect! We need someone who will duke it out with Trump, who will give withering glances and judgemental eye rolls. Cory Booker has enormous oratorical talent and is very smart but this election is not about “no red states no blue states only united states” but an existential threat to our country and our people. I want someone who gets that and won’t back down from a fight or turn the other cheek. I am afraid he does not have that fire. Good morning, Meesefolk; 41 when I got up and that’s the high for the day. The rain has been more sporadic than steady, but I’m leaving work early to head to Ohio, and The Kiddo tells me to prepare for blinding and torrential. The good news is that tomorrow here in MI is going to be lousy, but it will be less lousy in OH, so yay for small blessings. I need to focus on the work on my desk or the leaving early won’t happen…good day to and for all! Good mid-morning (in Fay., AR) folks. It’s mid 40s and feels like upper 30s – I’ve got a fire going although it’s not putting off much heat yet. The sun keeps coming out then going in – worse than in-and-out-the-kitty-cat (a game I no longer play) – I’m hoping it stays out long enough to generate a bit and do some catching up. Yesterday we got 5.8 KWHs which combined with the 6.2 of the day before says I’ve generated right at what I use with no gaining. The m-t-d is 280 and a good sunny day’s production could bring us to 300. This is my take and why on the Mueller Report, impeachment, and all that. As long as the MSM is owned by the 5 RW corporations that put twitler in power in the first place…I’m totally all for hearings. Keep the not ethical, not patriotic, 99% sure not legal actions of the crime family and sycophants on the news 24/7. I do not want actual impeachment. That would then go to the Senate where twitler would be found not guilty and most certainly not removed from office. At which point the MSM propaganda machine would go into 24/7 endless loops of twitler saying how that’s vindicated him. Which would also be played in every campaign ad twitler and the Rs run in 2020. We need to stop the em effers, not give them the weapons they need to take us down entirely. I’m late in because I was at my credit union finding out why my checking account statement showed over $800 more in it than my records showed. It’s all good. Two things – my grocery cash last month was accidentally taken from my savings instead of my checking account and AR doesn’t notify folks of when their refunds are direct deposited. I actually did have $500 more in my account than I knew about because I had been foolishly waiting for a notification from the state. I’m glad it’s in as I’ve purposed that for a second (and last) piece of jewelry from Wings. Meanwhile nobody’s heard nothing about nothing. So prayers and invocations are still very much desired. Run the hearings as if they were impeachment hearings and run them for 18 solid months. But don’t every let it come to the vote. We can keep his evil more or less in the news although the MSM will try to drop it in a black hole within a few weeks as long as we’re doing hearings. Once there’s a vote, it goes to the Senate and you are 100% correct – the ads against the Dems practically write themselves once that happens. We won’t ever have control of the media, but a long as they can’t run “vindication” we can manipulate it. Good morning, 53 and cloudy in Bellingham. Yesterday seemed like a fire hose news day, but it’s good to finally have Mueller’s report be more honestly discussed. I’m pleased to see a link to the report is at the top of The Bellingham Herald’s on line front page this morning. As citizens we all need to read and learn before voting! We enjoyed a birthday dinner with our son last night. It was fun to reminisce and share the news of the day while watching the fog move around the boats at the harbor. Time to find some coffee and try to get my day going. Best wishes to all. It is 32 degrees in Madison with an expected daytime high of 63. Sunny skies are in the forecast. The just-starting-to-wane fullish moon bathed the early morning sky with light – it was nice to see her again. I think that Democrats need to cool their jets a bit. Anyone who calls for impeachment based on the redacted Mueller Report is getting a caravan of carts before the horse. We can call for a Congressional hearing where Robert Mueller is asked about his obstruction conclusions and once that is completed we can, if his testimony and the evidence in the full report warrants it, call for an impeachment investigation. Anyone who says “let’s impeach him right now” is betraying their lack of understanding of the process. And anyone who says that it doesn’t matter that impeachment won’t lead to removal, is buying into the left-wing media’s narrative that we should burn our party down over some purity principal. The people advocating for that are all white males who will not be harmed by a second Trump term. We run in 2020 on HEALTH CARE and CLEAN GOVERNMENT and JUSTICE – we don’t run against Trump, we run against Republicanism and, really, we have no way of knowing if Trump will be the nominee. Nixon resigned when it got too hot, Trump is in the worst health of any president in recent memory – there is no guarantee we will be running against him in the general election. There! That is my free advice! The Weekly Democratic Party address is by Rep. Debbie Dingell touting the #ForThePeople agenda passed by the House – a statement of Democratic Party values. That is what we need to focus on. I am hoping that after the heat from the hot takes dissipates, we get back to governing – something that Democrats are very good at – and trust that Nancy Pelosi’s House will do the right thing. 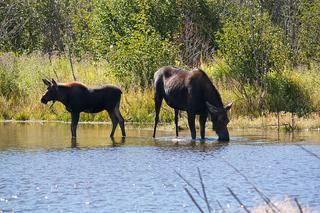 Saturday Meese. 69 going up to 70 here in NYS with flash flood warnings. Found it and retweeted it! Slept really well, and late. Watching the news, not doing much today besides consuming caffeine — the main band doesn’t even start till around my normal bedtime. Got my clothes set out — my blue sparkleshirt because it has the pockets in the legs & I won’t have to carry anything — and a green shirt. I hope they play Wild Horses. Jan – FYI – I think you’re right about the cookies causing the problem with the login. I got here with no problem but after I visited the New Republic & Earthship Biotech (from one of Dee’s tweets in Bobby’s diary) then came back here I was logged out and couldn’t get back in for 30 minutes.